Waters Corporation, the premium brand in the analytical instruments industry since 1958, creates business advantages for laboratory-dependent organizations by delivering practical and sustainable scientific innovation to enable significant advancements in such areas as healthcare delivery, environmental management, food safety, and water quality worldwide. Bringing keen understanding and deep experience to those responsible for laboratory infrastructure and performance, Waters helps customers make profound discoveries, optimize laboratory operations, deliver product performance, and ensure regulatory compliance. 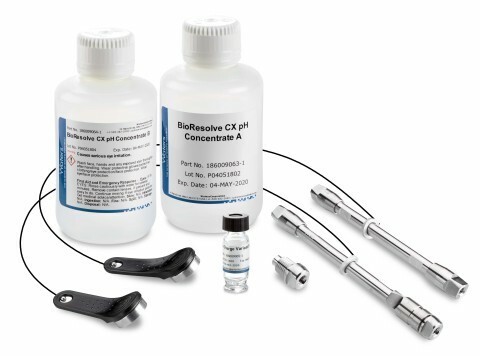 Pioneering a connected portfolio of separations and analytical science, laboratory informatics, mass spectrometry, as well as thermal analysis and supercritical fluid chromatography (SFC), Waters’ technology breakthroughs and laboratory solutions provide an enduring platform for customer success. SDL (LSE: SDL) today announced that Waters Corporation, an innovator in the field of analytical chemistry, has selected SDL Knowledge Center to streamline its content creation and management process, drive content reuse and promote standardization of its documentation to deliver a better customer experience. Waters Corporation has announced that its ionKey/MS System™ was ranked among thetop analytical instrument innovations of 2014 by The Analytical Scientist magazine. Company also Expands ionKey/MS System to SYNAPT and Xevo Time-of-Flight Mass Spectrometers with New UPLC-Grade iKey Chemistries. Waters Corporation (NYSE:WAT) today expanded its family of CORTECS® Columns with the introduction of a new line of 2.7 micron silica-based, solid-core particle columns that set a new standard for HPLC column performance. TA Instruments today announced the acquisition of Expert System Solutions, ESS (Modena, Italy). At ASMS Waters is previewing an enhanced range of Omics Research Platform Solutions, powered by TransOmics™ 2.0 Informatics. Waters Corporation (NYSE:WAT) has unveiled the new Waters® SYNAPT® G2-Si Mass Spectrometer at the 61st conference of the American Society of Mass Spectrometry (ASMS). The Food and Environment Research Agency (Fera) based in York, U.K., and Waters Corporation (NYSE:WAT) based in the U.S. have today announced that they will open a new laboratory-based training facility, combining their respective regulatory, scientific and industry expertise to help solve the global food safety challenge. 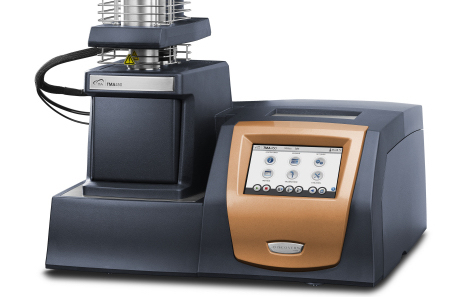 The New ACQUITY UPLC H-Class - HPLC familiarity with UPLC performance May 21, 2010 If you are performing routine analyses or developing methods, or just prefer the flexibility of multi-solvent capabilities in a quaternary-based system, the only choice has been HPLC. Until now. U.S. Environmental Protection Agency Enhances Mission to Protect People and the Environment With Purchase of Waters ACQUITY UPLC/Xevo TQ MS System Aug 26, 2009 Waters Corporation (NYSE:WAT) announced today that the U.S. Environmental Protection Agency (EPA) has purchased a Waters® ACQUITY UPLC®/Xevo™ TQ Mass Spectrometry System for its Environmental Science Center’s Analytical Chemistry Laboratory in Fort Meade, Md.